At KIG Capital, our top priority is to increase the value of our properties by increasing income and controlling costs. One of many ways we achieve this is through our quarterly walkthrough inspections. While we are at our properties more regularly, to do simple site inspections, this quarterly walkthrough inspection is a bit more intensive. Furthermore, walking the property with the owner (if available) allows us to ensure that our management plan is being implemented in a manner that is consistent with the owner’s wishes. Below details the three most important features of a KIG walkthrough. At KIG, we understand the importance of filling vacancies with safe, reliable tenants. When conducting a walkthrough, we confer extensively with our resident manager on the condition of all units, especially the vacant units. If units are vacant, we take the necessary steps to ensure that the unit is rent ready so we can get a reputable tenant in our property as fast as we can. If the building is fully occupied, we dialogue with our resident manager to verify that all tenants are cooperating with House Rules as responsible occupants. During these walkthroughs it also allows us to engage with tenants – so they know we are at the property and are proactively managing the property and servicing their needs. As with every property, there is normal “wear-and-tear” that occurs from time to time. When we conduct a walk-through, we search comprehensively in order to ensure that the property holds its value over time. Being at the property allows us to diagnose and solve the issue. When rectifying an issue with the property, we refuse to take shortcuts because it will depreciate the value of the property in the long run. In turn, KIG finds the best solution at the lowest price tag, without sacrificing quality. As Apple founder Steve Jobs once said, “Details matter, it’s worth waiting to get it right.” We hold this belief close to heart because we apply it frequently. At KIG, we understand the value of small details. Painting a wall, landscaping or even ensuring proper lighting in the common areas of the property could make all the difference to a prospective tenant. That’s why we make sure that our properties are in the best of shape. We look at the small details as an essential part of maintaining the total value of the property. In conclusion, walkthroughs remain an extremely important factor when managing a property. It is paramount that we look at the position of the occupied and vacant units as well as the physical aspect of the property. It enables us to make improvements to expand the value of the property while minimizing costs. 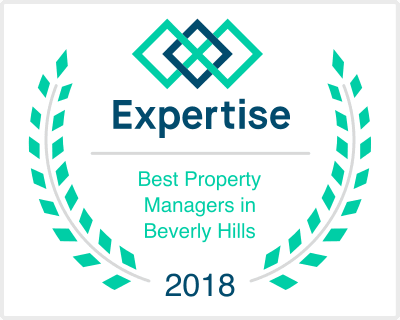 Our thorough walkthroughs are a factor to KIG’s reputation as one of the premier property management firms in California.